Calling all pool enthusiasts based in Washington DC, Virginia and Maryland: Are you getting the quality service you deserve? Too many people settle for inadequate in-ground pool service rather than taking the time to find a professional, reputable pool repair company to ensure the job is done correctly the first time. Allow VistaPro Pools & Spas to kindly step in. As a highly respected pool building and pool repair company in the Annapolis area, we know what it takes to make your favorite backyard fixture a functional one. Instead of wasting time worrying about the issues that could follow algae build-up along the sides of your pool, you should be able to swim in the sun for hours without hesitation. Instead of wondering what kind of tile repair is needed, or how much new plaster will cost, you should be taking the time to bob around on that new float purchase. With the help of VistaPro Pools & Spas, all of the above is possible — and much more. How? Our experts are pool repair professionals who’ve dealt with countless problems related to plaster, tile, and coping over the years. In fact, they not only know how to diagnose a problem, but they will work hard to ensure it’s taken care of efficiently, and with quality care. The same idea applies for future in-ground pool owners. If you are currently weighing your installation options, one of our project managers will happily take the time to walk you through possible custom backyard arrangements. From there, you’ll be given a step-by-step overview of the construction process, which will only begin once everything is up to your standards. That said, it’s vital to take the time to enjoy yourself poolside, and we look forward to helping you out. 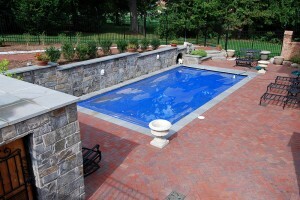 For any questions, please call VistaPro Pools & Spas at 301-805-0119.